Why should You Take ConvoSpanish Online Spanish Classes? 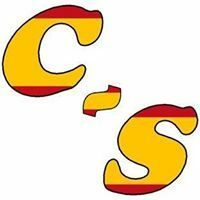 What Are the Online Spanish Classes About? The person in charge of the classes is me, Inés, and I am a native Spanish speaker from Spain. Also, I have helped people improve their Spanish skills for more than 3 years, which has made me learn a lot more about my own language. Thanks to this, I can help you to practice Spanish from Spain. Conventional classes are not always the best option. Beside learning at a slower pace and generally not being customized, they don’t usually focus on practicing speaking skills. However, my classes mainly focus on practicing the speaking and listening skills through conversations. In today’s world everyone is so busy all the time: college, work, children, house chores… Normally, most people are so busy with their daily routine that don’t have any extra time left for themselves. Then, when do you have time to go to Spanish class? If time is what worries you, ConvoSpanish is a great fit for you. Thankfully, I teach all the classes online, you don’t have to waste time commuting, which will leave you with more time for yourself. Sometimes, it’s hard to find someone who you can practice with. Either because of time reasons or you just don’t know where to find that person. In addition, even when you find that person, your schedules aren’t compatible or they never show up or is always late. However, you will never have to worry about all this with ConvoSpanish. First, you have already found that person. And second, my class schedules are flexible and all my classes are always taught on time. Comparing to conventional classes, my online classes are generally cheaper. One reason is the fact that I work from home and avoid high rent rates for an office. A second reason is that the investment for an online business is usually much lower than for a “normal” business. Because of this, my classes rates can stay low. I offer online Spanish classes to give you the opportunity to practice your conversation skills. During the class, we can talk about any topic that interest you and/or skills you want to improve. However, practicing Spanish at conversation level will be the focus of my tutoring. Due to I know three languages I understand the difficulties of learning a new language. In my experience, I have found that the best way to learn a language is through practice, instead of just attending courses and memorization. Colloquial Spanish is one part of the language I focus on with my online Spanish classes. In other words, the Spanish that people use in their daily conversations, in their everyday lives, and in the streets. Thus, you will get the real experience of what it is like to speak as a native Spanish speaker. In addition, I can help you with grammar questions. Due to my background on science, I can also assist you with scientific Spanish. Talk about topics that interest you and/or skills you want to improve. Work on correcting pronunciation, grammar and/or the improvement of listening and speaking skills. Usually, I use articles or texts, and videos or movies about topics that my students find interesting during class. After they have read them and/or watch them, we discuss them in class. Additionally, during our conversations, I correct grammar and pronunciation, while the students practice their speaking and listening skills. In addition, if the student needs help with grammar, I usually send them a power point with the theory about that grammar explained for them to read it. Then, we focus on practice by doing activities/exercises and applying that grammar in our conversations. The class is very interactive and I always make it as fun as possible. There is no memorization, because it is through practice that you will finally get it! Correction of grammar and pronunciation. Practice of speaking and listening skills. Material and activities/exercises for the class and homework (if needed). Correction of activities/exercises (if needed). Trial class (one-to-one conversation classes). Individual conversation classes (one-to-one conversation classes). Beginner level (when you have a very basic knowledge. You want to start speaking some Spanish). Intermediate or above level (when you are not a beginner 🙂 You want to practice and improve your skills). Group conversation classes (small group: 2-3 people). Intermediate level (you have some knowledge and you want to practice and improve your skills). Advanced level (you know Spanish but you want to practice and master your skills). The price of a trial class is just $2 or free! when you subscribe to ConvoSpanish newsletter. $8 for group conversation classes. $12 for individual Spanish conversation classes. Classes are through Skype or Google Hangouts. I only accept students older than 18 who have at least a basic understanding of the language. The schedule of the classes is from Monday to Friday from 8:00am-5:00pm Mountain Standard Time (MST).